PES 2015 PC graphics are quite disappointing compared to what PES 2015 looks like on the PS4 and Xbox One - they aren't really 1080p and the LOD (level of detail) is pretty bad, e.g. 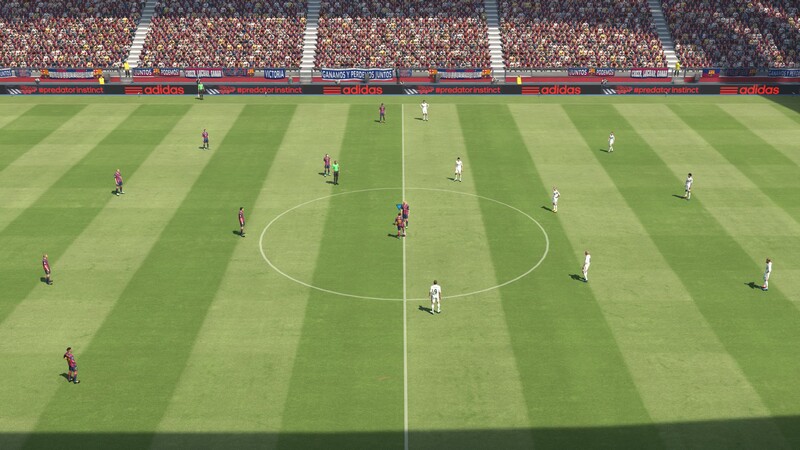 compared to PES 2014 on PC. There is however an easy possibility to improve the PES 2015 PC graphics easily - using Downsampling. Downsampling means you render the game in a higher resolution (typically double) than your actual screen resolution which is then downscaled on the fly. The PES 2015 3d-grass effect looks a lot better using downsampling. Since PES 2015 is relatively easy to handle for modern graphic cards and has very few graphics customization options by default, downsampling is a great way to greatly improve the look of PES 2015 on the PC while still keeping its usual color palette. Downsampling increases PES 2015 texture quality by a big margin. Check out more screens on our Facebook page. The image on the left was made using downsampling from 2160p to 1080p, while the one on the right is made using default 1080p in PES 2015 (click the images for full resolution). Always remember that GeDoSaTo is required to be running before you start PES 2015 for the downsampling to work. If PES 2015 crashes right at the start after you set the higher resolution, GeDoSaTo might not be running in the background yet. 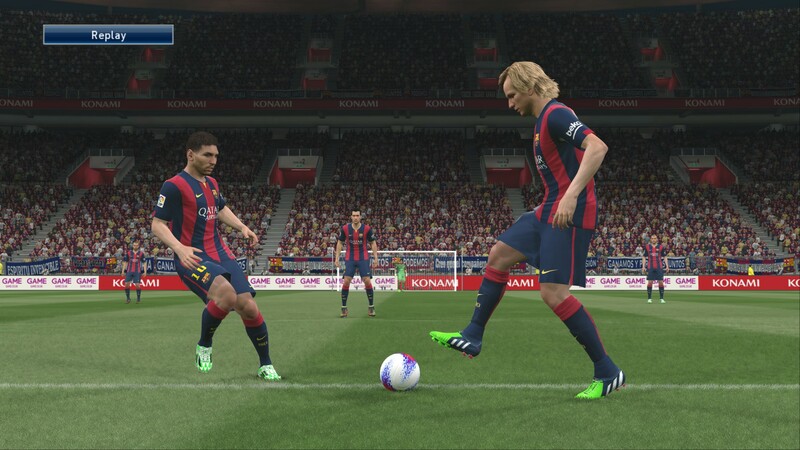 Open our little tool to set a new (not allowed by default) resolution in PES 2015, simply start the game and feel the difference.